Foolhouse Treasure boxes were born out of tireless searches for jewellery boxes for my daughters that were un-bedazzled and unadorned by licensed Disney characters. I was also pretty tired of all my Tupperware containers disappearing into their bedrooms to become the vessels for much coveted bits of fluff, shells, beads and so-called precious detritus they needed to collect … and so these much more attractive treasure boxes were born! Made of Multiply and lined with a patchwork of colour, the treasure boxes are a tangible testament to the raw beauty of wood. Comprised of 6 individual compartments, they are perfect for separating all important treasures. The dividers can be removed too if the box needs to evolve to take A4 papers. The lid slides and is operated by a pull hole which can double to take a padlock. 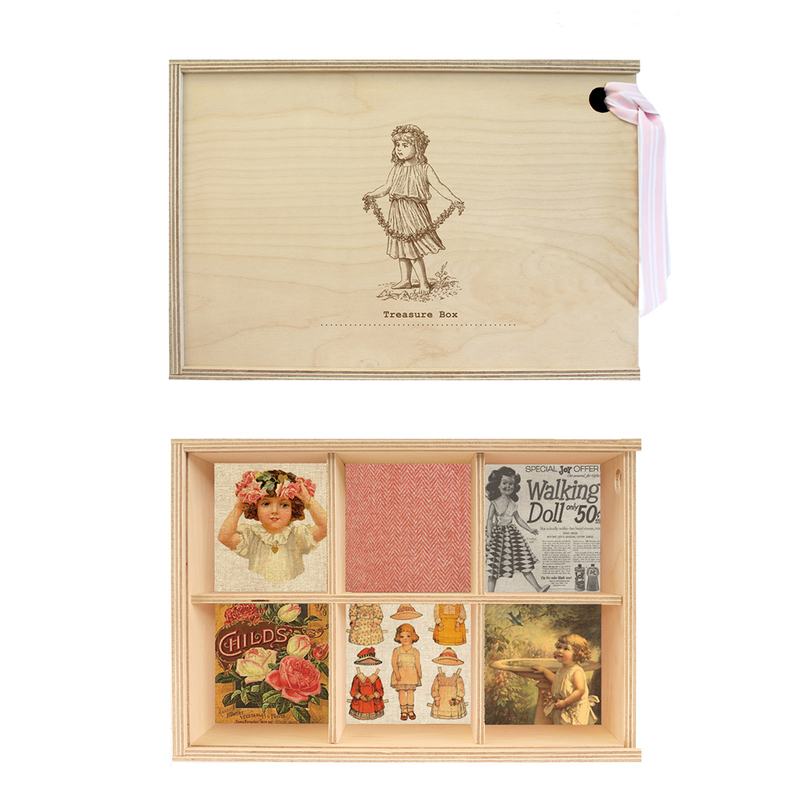 This Treasure Box is adorned with an engraving of a sweet little daisy chain loving child and the words Treasure Box – what treasures they are, are up to you and your little baby doll! For Toddlers: Thoughtful as a birthday or Christmas gift – each compartment can be filled with small treats, such as jewellery, fun erasers, rubber balls, playing cards – or hand it over empty and watch them fill it with stickers, Barbie clothes, found pebbles and buttons! 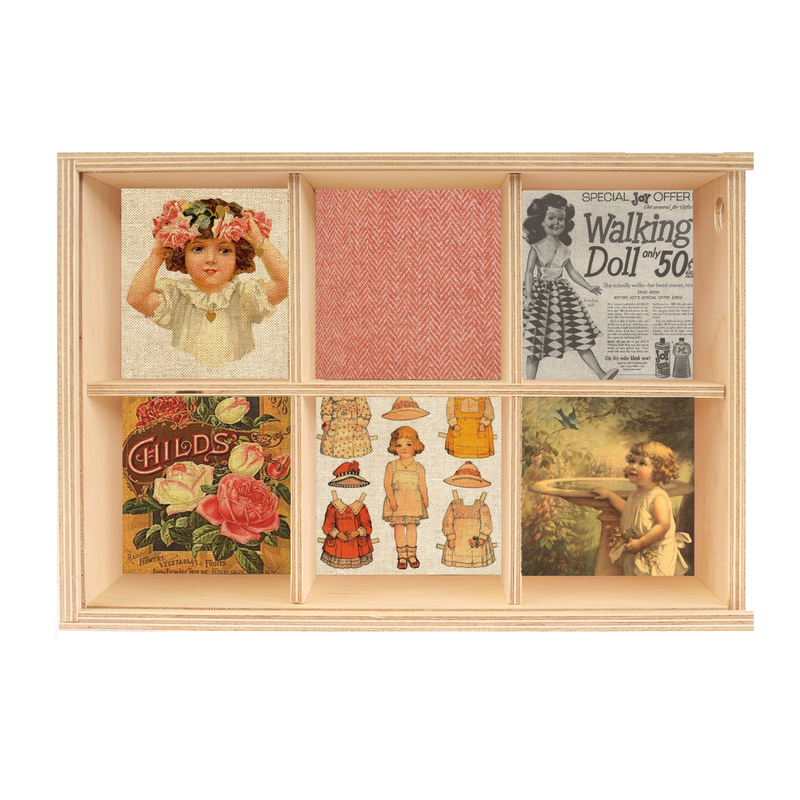 For Teens: Tween and Teens with a vintage leaning love the box for jewellery and for hiding anything secret in. 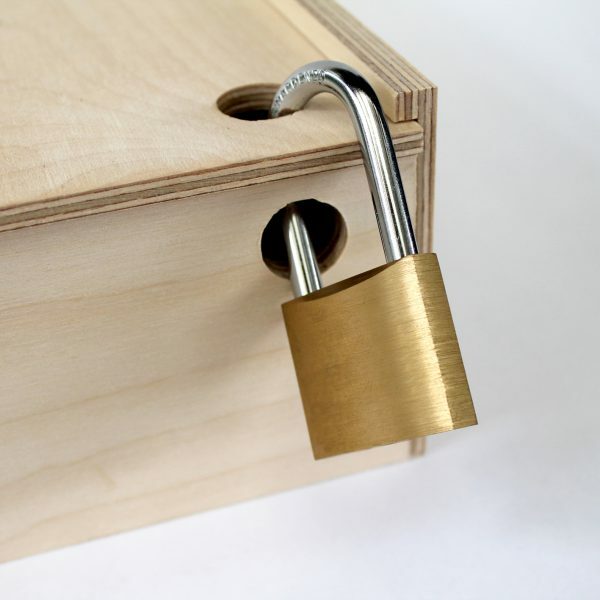 Make sure you get them a padlock too! The compartments fit full sized bangles in them. For Adults too! : I didn’t expect these boxes to take off for adults at first, but then my gorgeous friends found them very useful for all those big necklaces that never fit into their delicate little jewellery boxes and so I cannot put an age limit on this box’s usefulness!